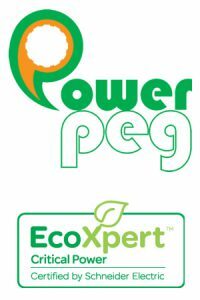 Powerpeg NSI Limited is a leading company offering Power Quality and Energy Management solution since 2001 and was awarded with the Master EcoXpert (Critical Power) from Schneider Electric. We provide a broad range of advanced solutions to achieve the energy saving, building energy management, integration, power quality analysis, networking, predictive maintenance and operational optimization needs of energy-related facilities worldwide. To be the leading solution provider of sustainable networked power quality, energy and green solutions so that our systems can enhance the saving to our planet for our next generation. Result in environmental friendly, profit and a sustainable business for the organization. We provide the innovative and cost effective integrated & practical energy management solutions to support the environment. Our founder Ringo Lee was graduated from University of Sunderland in UK in 1991 and awarded PhD from City University of London in 2012. He has been working in building controls and ELV fields after graduation and started working on power quality monitoring solutions since 1998. Powerpeg NSI Limited has been a leading company offering Power Quality and Energy Management solutions since 2001. It provides a broad range of advanced solutions to achieve the energy saving, building energy management, power quality analysis and operational optimization needs of energy-related facilities. Being an EcoXpert partner for Critical Power from Schneider Electric. Has launched a new series of energy reporting, auditing and KEMS KPI software in 2015. A new OCPP version 1.6 smart charging management unit (SCMU) and EV chargers are launched in Nov 2018. 1) Energy saving and performance analysis. Power Utilities,Hospital,Goverment Office and Headquarters,DSD,WSD,Data Centers,Theme Park,High Rise Commercial Buildings,etc.